Because there is in Brazil. 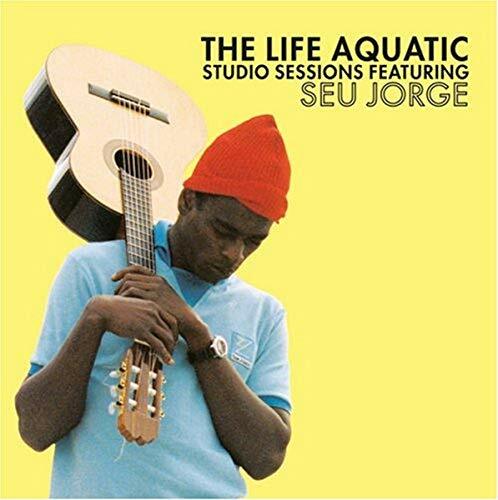 Seu Jorge, who of course played some of these songs in the excellent film The Life Aquatic last year, finally has released the complete sessions. The versions here are much warmer and fuller than the lower quality ones on the soundtrack release (so as to mimic the recording fidelity of the crew in the movie, natch) and makes you wonder why they’d put out the other versions in the first place. If for the uninitiated: this is one of Brazil’s finest young musicians playing straight-up acoustic David Bowie covers sung in Portugeuse and inflected with traditional Brazillian styles. I’m a sucker for the music of Brazil myself, and I think this is pretty much the greatest thing ever. You only get the best song as a bonus from iTunes, unless of course you download it from your favorite blog. Eh? Eh? PS my fawning Ryan review and more goodies are up at the Glow. EDIT: Tracks have been re-upped, guys. Thanks for the wait.